The article considers the comparative analysis of the functional activity of mitochondria isolated from the liver of grass snakes, Natrix natrix (Linnaeus, 1758) that were kept at different temperatures (23–26 °C and 4-5 °C). It was found that liver mitochondria of hypothermia-exposed grass snakes are characterized by weak coupling of oxidative phosphorylation as compared to mitochondria of active animals which is caused by inhibition of succinate-fuelled respiration in ADP-stimulated state, as well as by activation of basal non-phosphorylating rate. Inhibition of mitochondrial respiration in hibernating animals is associated with a decrease in the activity of the respiratory chain complexes of organelles. A significant decrease in the rate of K+ transport in the liver mitochondria of hibernating animals has been established. Under these conditions, a decrease in the calcium capacity of the organelles was also revealed, which indicates a decrease in the resistance of the mitochondria of hibernating animals to the induction of the Ca2+-dependent mitochondrial pore. 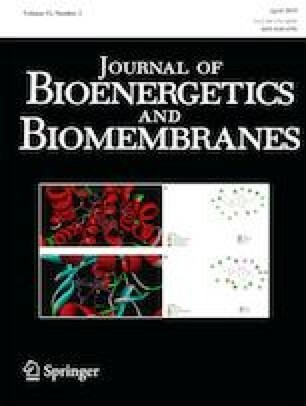 All these changes in the functional activity of mitochondria are observed on the background of increasing H2O2 production as well as increasing the proportion of polyunsaturated fatty acids in phospholipid composition of mitochondrial membranes, which are the targets of reactive oxygen species. It can lead to increased formation of lipid peroxides and activation of destructive processes associated with the induction of Ca2+-dependent mitochondrial pore. The work was supported by grant from the Russian Foundation for Basic Research (18-315-00033) and the Ministry for Education and Science of the Russian Federation (state commissions no. 6.5170.2017/8.9 and 17.4999.2017/8.9).